The Gelao, despite their considerable size, are one of the least known of China's official ethnic minorities. Gelao means "human beings" as well as "bamboo." 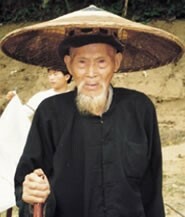 Today, most Gelao are culturally indistinguishable from the Chinese. Even back in 1911 one observer wrote, "The Gelao are now nearly extinct; many of them have married into Bouyei and [Chuanlan and Chuanqing] families." The Gelao are thought to be descended from the ancient Liao race who established the Yelang Kingdom in Guizhou about 2,000 years ago. A folk tale tells how the king of Yelang was born from bamboo, so the whole group came to be called Bamboo. The Gelao are considered the original inhabitants of each region where they live. "Where the Miao and Gelao occupy the same district, the Miao allow that the Gelao were there before themselves." The Gelao primarily grow maize, wheat, potatoes, sorghum, millet, tobacco, and tea. "In the past, the Gelao practiced initiation rites for their young men, including toothbreaking and hair-cutting rituals. The Gelao were once head-hunters and cannibals." Among the Yaya (Tooth) Gelao, the custom of breaking the front tooth of a bride was observed until recently. The Gelao are primarily ancestor worshipers. "They also worship the gods of giant trees, of mountains, of sky and earth, cows, etc. They have no idols, temples or monasteries, and no systematic religious creeds or organization. But they have a number of primitive superstitions and taboos, which affect every aspect of their lives." Because it is difficult to convey the Gelao as a cohesive people group with a common identity, it is also difficult to gauge the status of Christianity among them. The Gelao were reached with the Gospel by French Catholic missionaries in the late 1800s, but little fruit from that effort remains today. View Gelao in all countries. 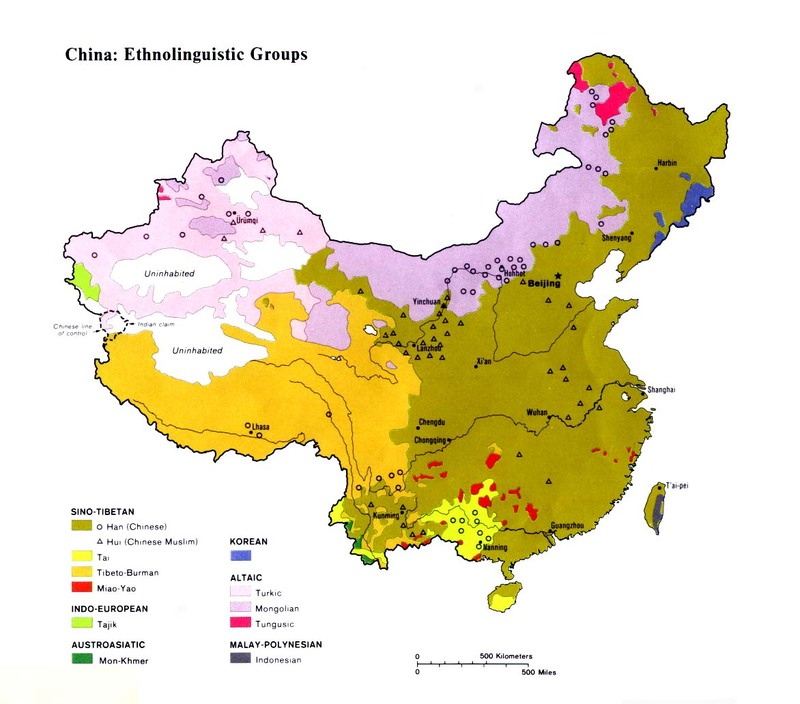 Location in Country: The 1982 Chinese census recorded 53,800 Gelao people in China, but by 1990 that figure had dramatically jumped more than eight-fold to 438,000. There are several reasons for this peculiarity. 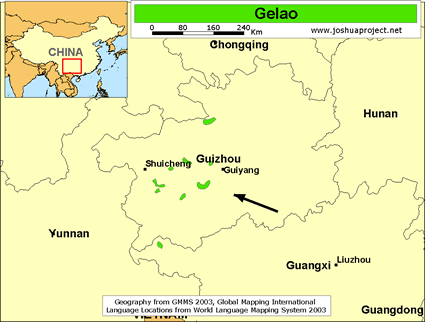 The Gelao are widely scattered across 40 counties in six provinces of southern China. The majority live in western Guizhou Province. Other communities are in Yunnan, Guangxi, Hunan, Sichuan, and Jiangxi provinces. Approximately 7,000 Gelao are also located in northern Vietnam.